Apartment in villa of considerable architectural merit with independent entrance. Surrounded by greenery in a quiet and comfortable. 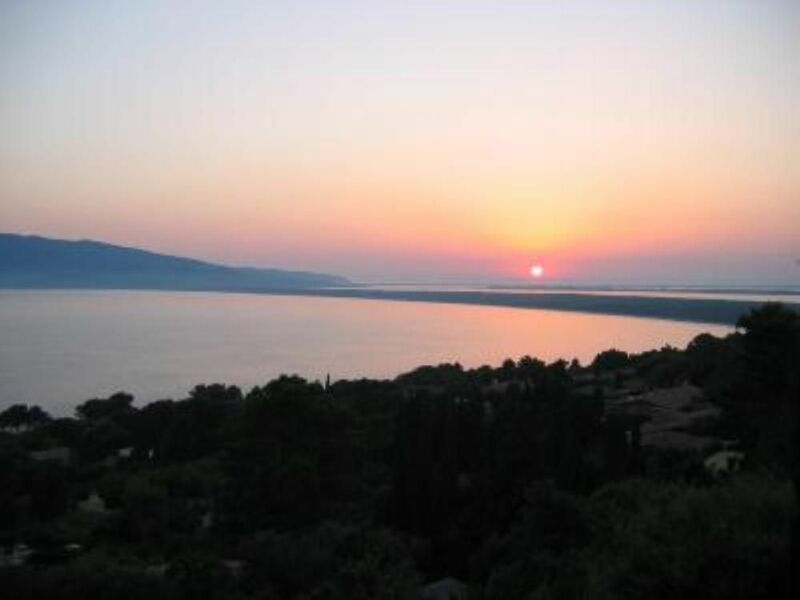 Beautiful location with an exceptional view to 180 degrees on the Argentario, Giannutri and the lagoon of Orbetello. Excellent base for excursions in the Maremma (reserves and WWF oasis) and cultural sites in the ancient territory of the Etruscans. Possible excursions in the Tuscan archipelago. The apartment, very bright, is composed of a large living room with sofa bed, a small equipped kitchen, large double bedroom, bathroom with shower. The windows have mosquito nets. Possibility of an extra bed to be placed in the living room or in the bedroom. Ideal for a couple with one or two children A part of the garden is reserved for the apartment. La casa rispecchia la descrizione, ha spazi ampi ed è in un’ottima posizione: vicino a Vinicio (bar/supermarket/hotel/rist) e a metà strada tra le due spiagge di Ansedonia (tagliata e feniglia). Unico neo: mancanza di prato. Ho passato una bellissima settimana, la casa corrisponde esattamente alla descrizione, ambiente molto pulito e dotato di tutti i comfort . Accoglienza ottima, ho conosciuto i proprietari e il figlio. We had a very nice time in the house, which is situated on the hill and thus offers a splendid view on the sea. The rooms are comfortable and nicely decorated. The garden offers a table and chairs for spending time in the shadow with a very nice view. Walking distance to sandly beach is about 20 min. Not very touristic place, at least in June -beginning of July. No crowds on the beach. Many thanks to the owner for her support and responsiveness! We are glad to hear your appreciation for our house and Ansedonia. Great guests, responsible and nice. You are always welcome again! Coming from the North (Florence, Pisa, Grosseto): take the Aurelia towards Rome to the first junction for Ansedonia, immediately after passing Orbetello Scalo. From the South (Rome) take the Aurelia towards the north to the first junction for Ansedonia, after passing signs for Capalbio. A 180 km from Florence and 140 from Rome. Many possibilities of regional cuisine in the area. Bike rental for use in the pine forest of Feniglia. Etruscan and Roman ruins at the archaeological site of the ancient city of Cosa Ansedonia today and in the territory (Populonia, Vetulonia, Vulci). Splendid excursion inland (Saturnia Spa) and in Viterbo (Tarquinia and Tuscania). Artistic Park Tarot to about a quarter of an hour by car.